Official soundtrack featuring all of the songs from the musical theatre production by Theatre of the Beat (script written by Johnny Wideman, music by Bryan Moyer Suderman). Sing along as Selah and her friends respond to King Hockengrabber’s propagandistic tunes (“Forever East Candling” and “I Wonder Could a Song Do That?”) with powerful and heartfelt songs of their own (like “Maybe a Song” and “Won’t You Sing”). 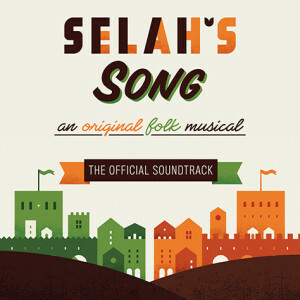 Click here for Selah’s Song track listing and purchase options. 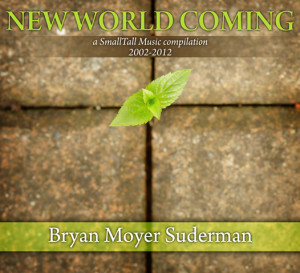 Click here for New World Coming track listing and purchase options. Singing scripture in new ways, these are songs that help us to explore how we are part of the ongoing story of what God is doing in the world. From the blistering bluegrass tune “New World Coming” to the evocative “Make Room”… from the playful “Detectives of Divinity” to the stark “Lofty Words”… from the fun sing-along “Fruit of the Spirit” to the vivid storytelling of “Take Heart,” this is a collection of songs that bring us face to face with the realities of our day-to-day life in light of the scriptural story, and in a way that gets “small and tall” singing and talking and laughing and dancing and praying together. 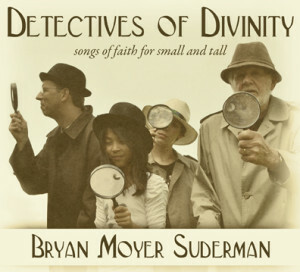 Click here for Detectives of Divinity track listing and purchase options. 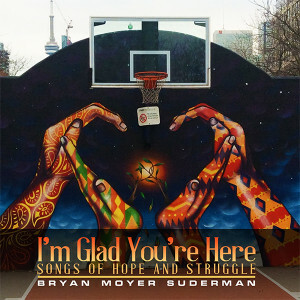 Drawing again from the deep wells of biblical vision and wisdom, this is Bryan’s most ambitious release to date, singing from Genesis to the Gospels, Esther to Ephesians with a top-flight crew of backing musicians in styles ranging from folk and bluegrass to zydeco, bossa nova and New Orleans jazz. 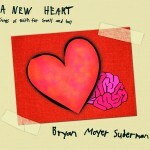 Click here for A New Heart track listing and purchase options. 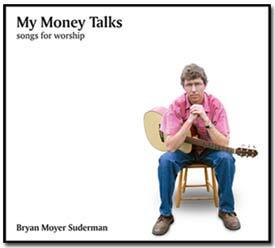 Jesus had a lot to say about money, but the songs we sing rarely do. This is a collection of new and original songs that are deeply scriptural, intensely personal, musically memorable, and readily singable. Leans more toward the “tall” than the “small”. Musical styles range from folk, southern gospel, “praise and worship” rock and forays into “world music” with multi-layered African percussion on one track and infectious Latin rhythms on another. Click here for My Money Talks track listing and purchase options. 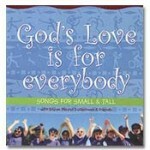 Another contagious collection of “songs of faith for small and tall” that are at once simple, catchy, profound, and fun. 14 original tunes, ranging from folk and bluegrass to a touch of funk, featuring Bryan and friends singing and playing everything from acoustic guitar, banjo, mandolin, hammer dulcimer and bass to electric guitars, drumkit, African percussion and a Brazilian clay jar. 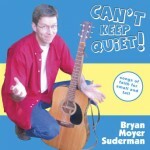 Click here for Can’t Keep Quiet! track listing and purchase options. A lively collection of “songs for small and tall” that have quickly become favourites of families, schools and congregations across Canada and beyond. 17 tracks, featuring guitar, banjo, mandolin, hammer dulcimer, accordion, various South American folkloric instruments, and more. Click here for God’s Love is for Everybody track listing and purchase options.